Are you ready to book a session? Before the session, we will meet to get to know one another, and discuss your expectations, ideas, and goals. Together, we plan the location, clothing, style, and the places in your home where you would like to hang your portraits. We decide on the best time that fits with everyone’s schedules and to assure you have well rested children and gorgeous light. We work hard to put together a portrait plan that captures your family and showcases its unique personality and emotion. Where are the portraits taken? The STUDIO is a great place for classic and modern portraiture with amazing lighting. The focus is on relationships and the person/child/couple’s beauty, details, and emotions. These portraits are creative and allow you to look into the eyes with close ups and feel those sweet hearts that you have come to love. It’s not about clothes. It’s not about distractions. It’s about that sparkle. It’s about love. 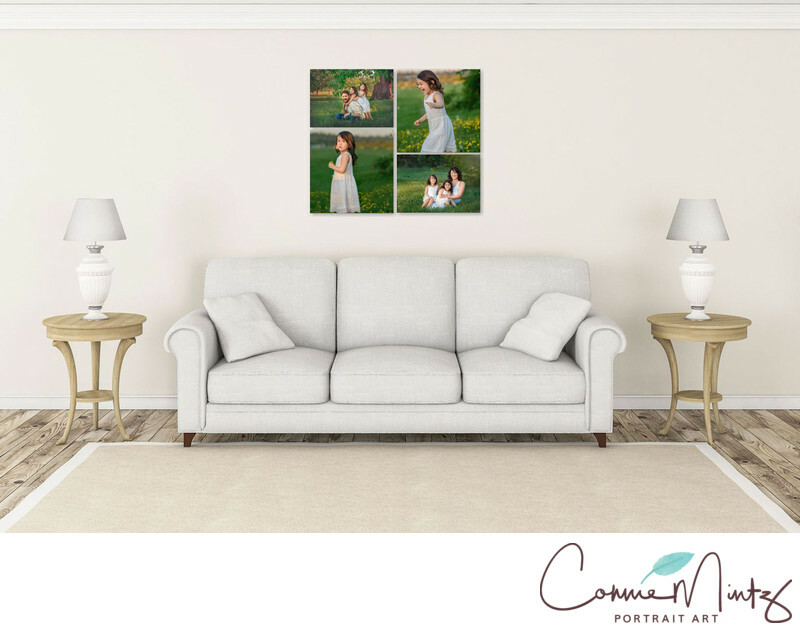 The OUTDOOR family portraits can preserve memories of the home where you raised the children, others want their images to be a location that would make a great landscape for a backdrop for art for your walls. Outdoor family sessions are taken in the evening golden hour- two hours before sunset. There are plenty of locations that would make a great backdrop for your family’s portraits – woodland areas, a park, an urban neighborhood, a river, the beach, a friend’s farm, even an old junkyard! Since every family is unique, I am happy to help you choose a location that suits your family’s personality. This is where it all comes together! We have a reveal & design appointment where we use our state-of-the-art projection system to show you the images large enough so you can see everyone’s expressions, compare similar images and preview what they will look like at various sizes in your home or office. At this time, you will pick your favorite images and we will be there to offer guidance and make sure all of your questions are answered. You’ll place your order and leave the studio with excitement and confidence about your order! *Studio Session. A studio session in my downtown Vancouver, WA studio. The session can be for your entire family, an individual, or just your child(ren) or even your 4 legged fur babies! Client typically invest $600 to $2,500 in albums, folio boxes or wall portraits. *Outdoor Sessions. If you are looking for something extra special & uniquely you, this session could be perfect! We will travel to a location that has a special place in your heart. These sessions can takes place in your family home, favorite park, the woods, the beach, your cabin, or family farm. Most clients who choose outdoor sessions invest in larger wall portraits and wall portrait canvas and metal wall collections and typically spend $995-$4,000. To Contact us and schedule your session, complete our guest form.